The appointment of Utoile Silaigwana as the Zimbabwe Electoral Commission (ZEC) Acting Chief Elections Officer has rattled pro-democracy activists in Zimbabwe who feel the move is a consolidation of the militarisation of ZEC. In a statement, Crisis in Zimbabwe Coalition (CiZC) said it notes with concern the appointment of Silaigwana as ZEC Acting Chief Elections Officer. "We would like to categorically state that the appointment of Mr. Silaigwana is another unfortunate incident which continues to put into doubt the credibility of ZEC through acts of brazen militarisation." Silaigwana is a former member of the Zimbabwe National Army (ZNA) and was part of the 2008 ZEC secretariat that withheld the March 2008election results for close to a month. "It must also be noted that he was appointed to ZEC when he was still a serving member of the ZNA and was thus among the people that led to the militarization of ZEC and eventually presided over the 2008 elections whose outcomes were heavily contested," Crisis in Zimbabwe Coalition said in a statement. The civil society organisation said Silaigwana's image is tainted with accusations of election rigging adding that his latest appointment raises eyebrows on the credibility of the ZEC secretariat and ultimately the credibility of the 2018 polls. "It is becoming quite apparent that interim President Emmerson Mnangagwa's promise of a free, fair and credible election is mere rhetoric. Mr. Silaigwana's appointment comes after President Mnangagwa's declaration that the bloody 2008 elections which resulted in the death of close to 300 opposition supporters were free and fair. "To add on to this, Justice Minister, Ziyambi Ziyambi is on record saying there is no need for reforms ahead of the 2018 elections. Crisis in Zimbabwe Coalition called on the visiting SADC Electoral Advisory Council (SEAC), which is in the country on a week-long pre-election assessment, to take note of crucial matters which might be a hindrance to free, fair and credible elections in Zimbabwe. 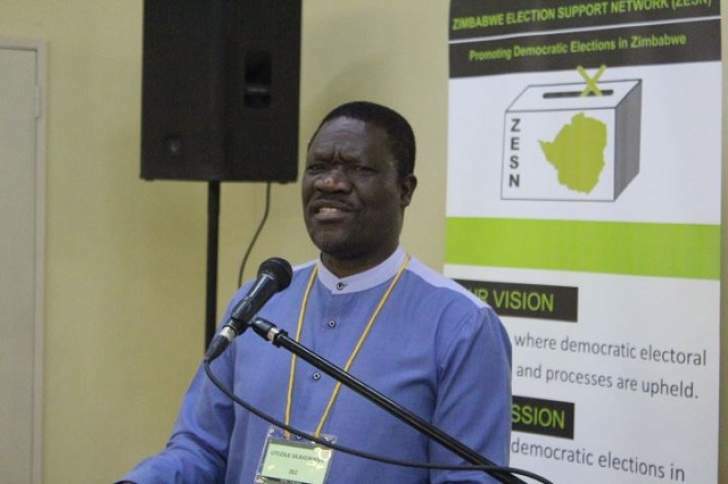 "De-militarization of ZEC as well as ensuring that ZEC Secretariat is apolitical is critical to ensure free, fair and credible elections," the organisation said.